My husband and I eat a side salad with dinner almost every night. This salad has changed slightly over time, but we definitely have a "usual." It's quick, only takes a few ingredients and tastes perfect with almost any meal. 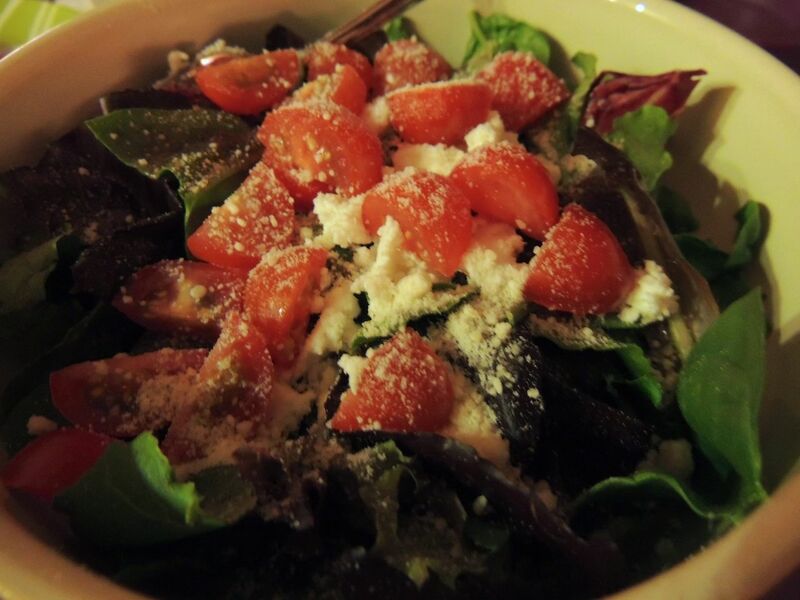 It's definitely our "everyday salad," but it's delicious enough for company. The recipe below is for 1 serving. 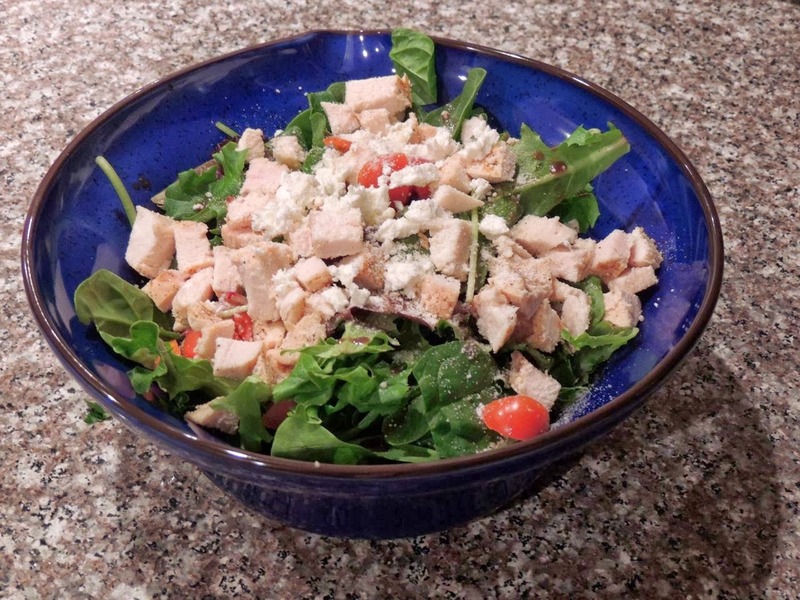 Put mixed greens in a salad bowl or on a plate. If the leaves are large, tear or chop them to a smaller bite-size. Sprinkle with TexJoy. Drizzle with vinaigrette. Quarter the tomatoes and scatter on top of the salad. Crumble goat cheese on top, and finish by sprinkling with Parmesan cheese. Want to turn this salad into an entree? Double the recipe above and add one or more of the following: three ounces of diced chicken, 8 pieces of turkey pepperoni chopped in fourths, or 2 slices of crispy crumbled bacon. This salad is especially delicious when paired with baked sweet potato fries or buttermilk biscuit triangles. I often use the Light Balsamic Vinaigrette from Trader Joe's for this salad. Last night, I ran out of this dressing, and Trader Joe's was closed. Thankfully, I found a super easy recipe at http://www.joybauer.com/healthy-recipes/light-balsamic-vinaigrette.aspx. I already had all the ingredients in my kitchen, and it only took a minute to whip it up. It tastes almost exactly like the Trader Joe's version, but it's much lower in sodium content. An added bonus is that it fills my leftover salad dressing bottle perfectly. Even if you're short on time, you'll have enough time to throw together this easy dressing. For convenience, I'm adding the recipe below. I recommend washing out an empty salad dressing container and reusing it for this dressing. Now, go, eat salad with everything!